The late-night host mocked Romney's comedy chops and offered up a crash-course in Humor 101. 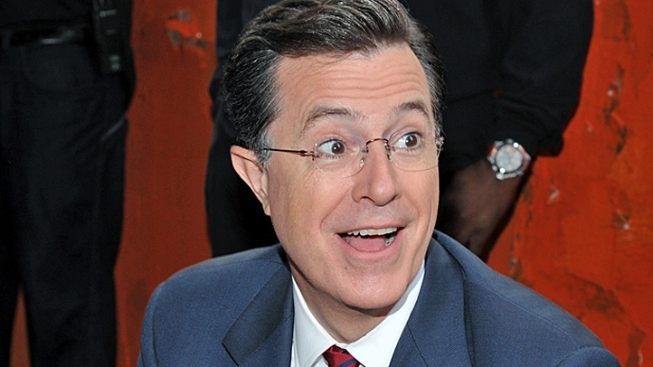 Stephen Colbert showed Romney the joke-telling ropes. Talk-show hosts and late-night comics have had plenty fun poking fun at Mitt Romney's less-than-stellar stabs at joke-telling in recent weeks. On Thursday's edition of "The Colbert Report," Stephen Colbert offered the GOP frontrunner a crash-course in stand-up comedy. After poking fun at the former Massachusetts governor's DOA "shaggy-dog" anecdote about his father's factory-relocation woes ("Good stuff! It's like he's on the Blue Collar Comedy Tour, if the comedy was about losing blue collar jobs"), Colbert taught Romney how to do a "tight fifteen [minutes set] at The Laugh Factory," a popular stand-up comedy club. Check out the clip below for Colbert's imagining of what a Romney stand-up routine might look like — brick wall background and all.